Lily Pad on Flint Creek at Wheeler Lake in the Wheeler National Wildlife Refuge, near Decatur, Alabama. 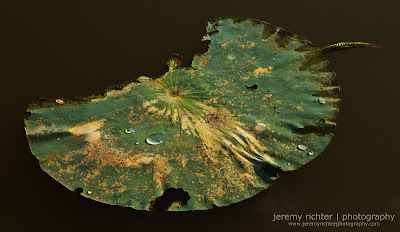 This rather large lily pad was photographed while I was on a short spider-web-filled hike on the Flint Creek Trail in the Wheeler National Wildlife Refuge. Several photographs from a November visits to the Atkeson Trail in the Wheeler Wildlife Refuge can be found both on the blog, here, and in my Alabama the Beautiful gallery.